It can be so irritating during lunch hours and dinner hours right? The queue for food can be so long, that sometimes you have to sacrifice good food, so that you can be back at work on time. Now you can simply enjoy what you have been craving for, order through the dining app - Eatsy, wait for your food to be prepared and brought to your table or collect it for take away when it's ready. Easy Peasy and you can #WalkOutLikeA Boss , stomach satisfied and ready to complete more work. Running late but really need that coffee? Here’s how you Order Ahead, Collect and Go! #SkipTheWait #BeAheadWithEatsy. This is in alignment with Prime Minister Lee Hsien Loong’s longstanding call to promote “going cashless” at a national level. 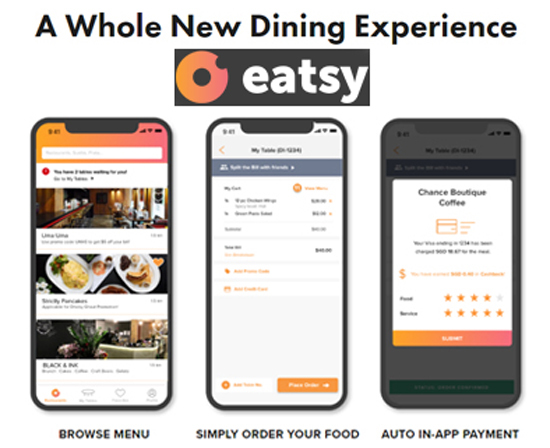 Eatsy is a collaborative order-ahead app that connects diners to the best restaurants and cafes in their area. You can order the items you want through in-app e-menus, hit order and pay through the app. The restaurant will prepare the food ahead of time, and you can simply collect your orders for dine-in or takeaway when you reach. This will allow you to save time and skip queues. Additionally, the unique ‘collaborative ordering’ feature of Eatsy gives friends and colleagues the ability to add their own food orders onto your existing order, which simplifies group orders. 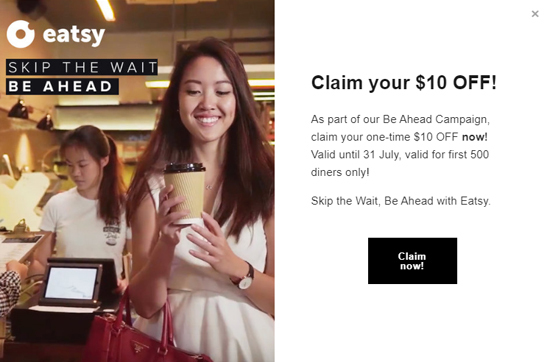 The collaborative order-ahead app aims to partner with the best and busiest quick service restaurants and cafes in Singapore to give them a competitive and technological edge to drive up profitability, and also provide a more personalized way to connect with their customers. Notable names in Eatsy’s current list of the merchants include crowd favourites – Tanuki Raw and Park Bench Deli. Have fun skipping the queue and enjoy your lunch/dinner. Don’t forget to stay tuned to my blog / like my blog’s Facebook page / follow me @huney_84 on Twitter & Instagram for the latest updates! Images are all copyright of Christina Chung (unless stated). Powered by Blogger. Designed by Christina Chung 2013 All Rights Reserved.